This is a mock-up ad created with Google Ads. You can create a similar ad for your business or freelance work that displays key words about the service or product that you provide. 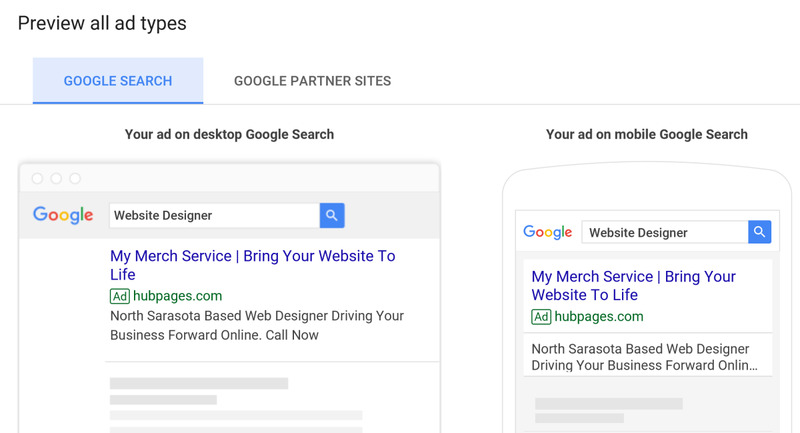 Google Ads are paid advertisements that show up on Google’s search engine results page (SERP) when searches are related to Google AdWords that were used to create the advertisements. These advertisements also appear on Google partner webpages or websites that are involved in the Google’s AdSense program. 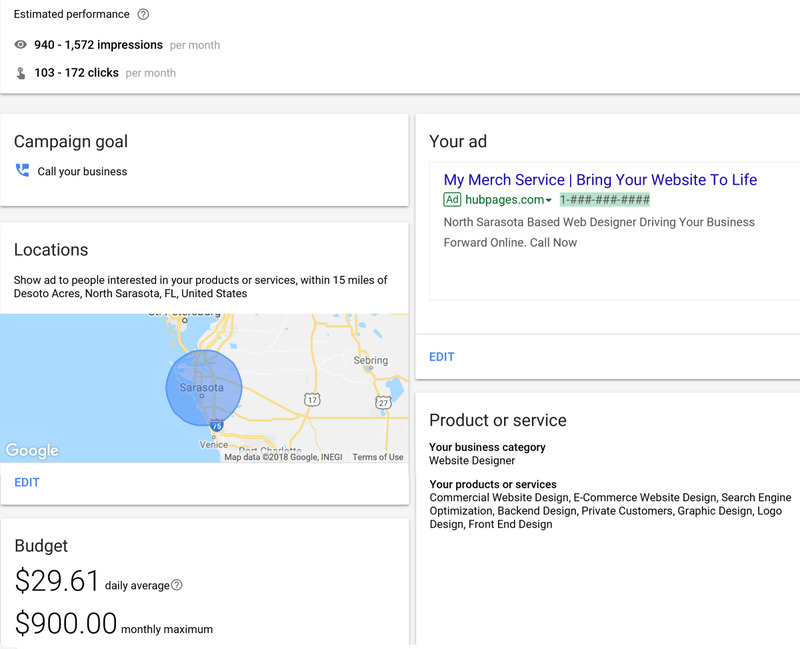 Google Ads works when advertisers (businesses and individuals) create Google Ads campaigns to target audiences by choosing a geographic location and Google AdWords that relate to their products or services. Essentially the AdWords chosen are bid upon based on how likely consumers will search for those words. Advertisers using Google Ads must pay an amount for each time their advertisement is clicked on. Before creating a Google Ads campaign, you need to have a few goals in mind. 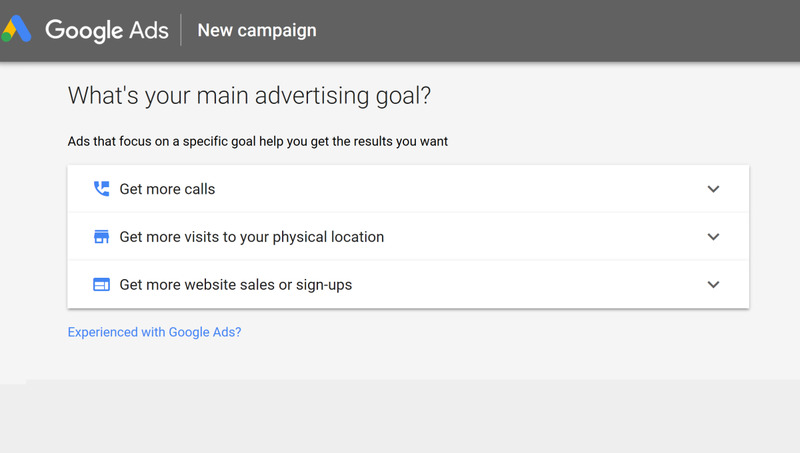 The first goal to ask yourself before creating a campaign is “how do I really want my audience to respond to my ad?” The illustration below shows the three campaign goal options that you will be asked to choose from after you create a Google ads account. 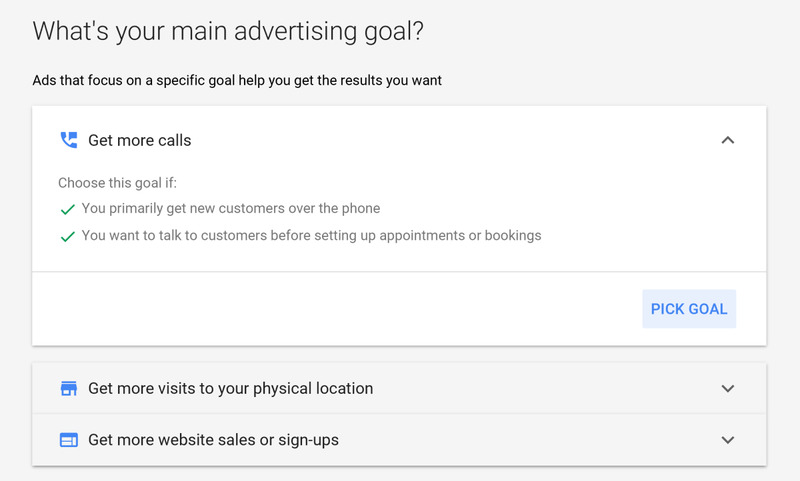 Google Ads offers 3 types of advertising goals for campaigns that you can choose from: One for higher phone calls, one to increase physical location visits, and one that focuses on website sales. For this mock campaign I will be choosing the goal option that increases the amount of phone calls that my business will receive. Choosing this goal doesn't restrict the campaign to phone calls because a website link is also provided on the advertisement. This type of campaign is great for a business that primarily gets service leads though phone calls or website interaction. For this campaign the goal is to gain a higher volume of phone calls and generate brand awareness through the website. Each type of campaign should be explored to understand what will work best your situation. 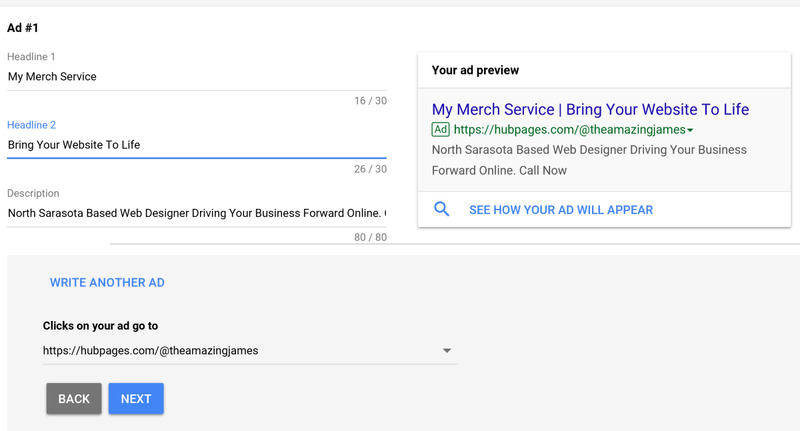 Entering your business name and adding your website here helps Google Ads predict your audience. This info is also used to create the actual ad that will be displayed. You may elect to use a webpage from your website where you want to drive the majority of your web traffic. Instead of the contact page you may want to direct consumers to a contact page or page that describes the company. 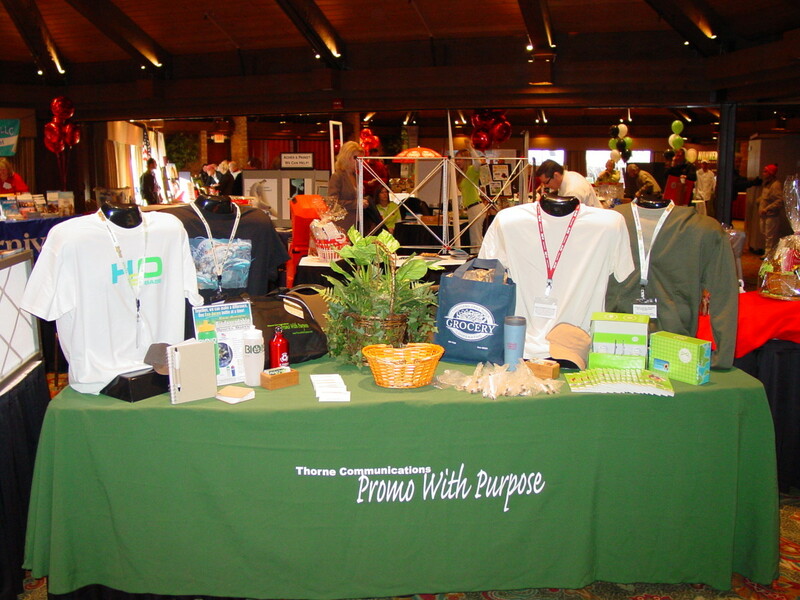 The next step is to choose the location of your target market. By default, Google Ads will choose a 15-mile parameter around your current location. The location can be changed by typing a city, town, providence, state, country or territory in the space titled set up specific areas. You can choose multiple locations in this option. For instance, if the target market of the campaign is the south east United State, then Florida, Georgia, South Carolina, and any other states that you see fit can be added to the target market. After the location is chosen you will be given an estimated audience for the entire location area. 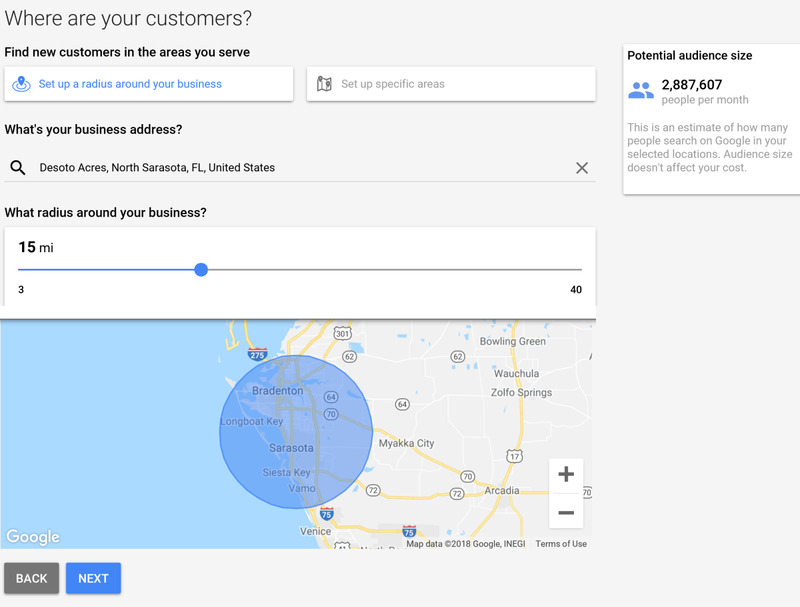 This number can give you an estimate of all possible views in the area, but you can only expect that a small percentage of this number of audience will see or click on your ad. The default geographic area for a target market is a 15-mile radius around the advertiser's current location. This area can be expanded, or other locations can be added to increase the possilble audience size for the campaign. This step of the process requires the advertiser to put their business into a category. If the business is a niche service or product, then you won't be able to generate statistics for a potential audience size. In this case, you can choose an industry that is similar to yours. 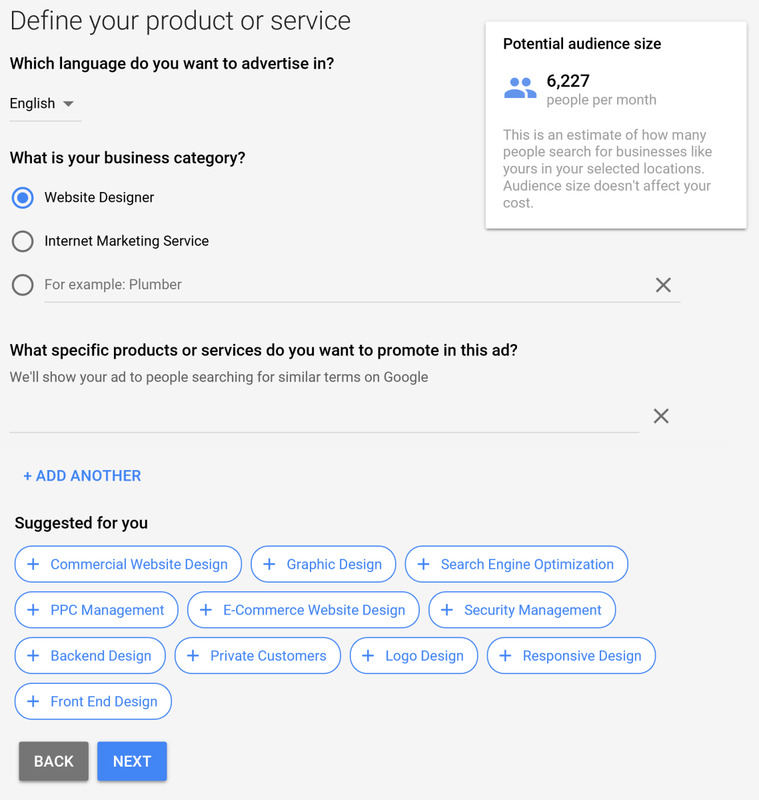 Based on the industry that you choose to be associated with Google displays suggested AdWords that may be related to your service or products. The AdWords that Google suggests can be used to let Google know when to display your ad. The suggested words don't have to be used and you are welcome to creating you own words. The words that are chosen here are important because they dictate who exactly will view your ad. Keep in mind that choosing phrases that are too specific may narrow the possible audience too much. For this campaign I chose most of Googles suggested AdWords since they were directly related to my service. Having these suggested words are nice but you can use any words that you feel will make the campaign successful. Broad terms can be used to drive traffic. Suppose I work as an online merchandiser for auto dealers. One broad AdWord that I can try is NADA. This could cause dealers searching for the National Auto Dealer Association to stumble upon my ad. At this point, the actual ad that will be visible to potential customer is created with suggestions for two headlines and a pitch. 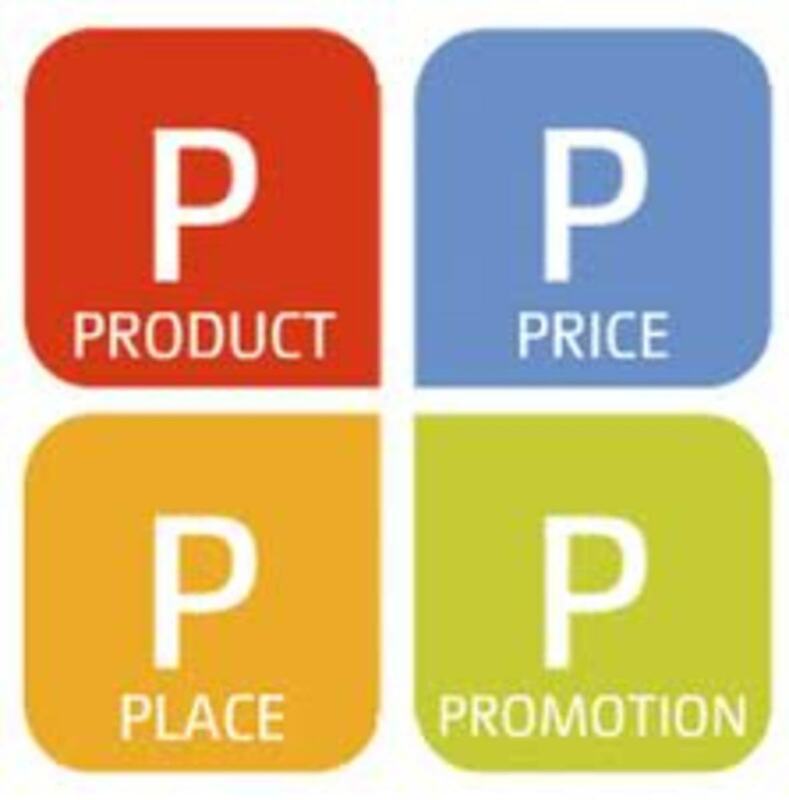 It is wise to highlight your product or service's key attributes in the ad so your customers understand why people choose your brand. The headlines need to be brief at 30 characters for each headline, but the description allows up to 80 characters. This is the ad that will appear when people are searching with your AdWords. 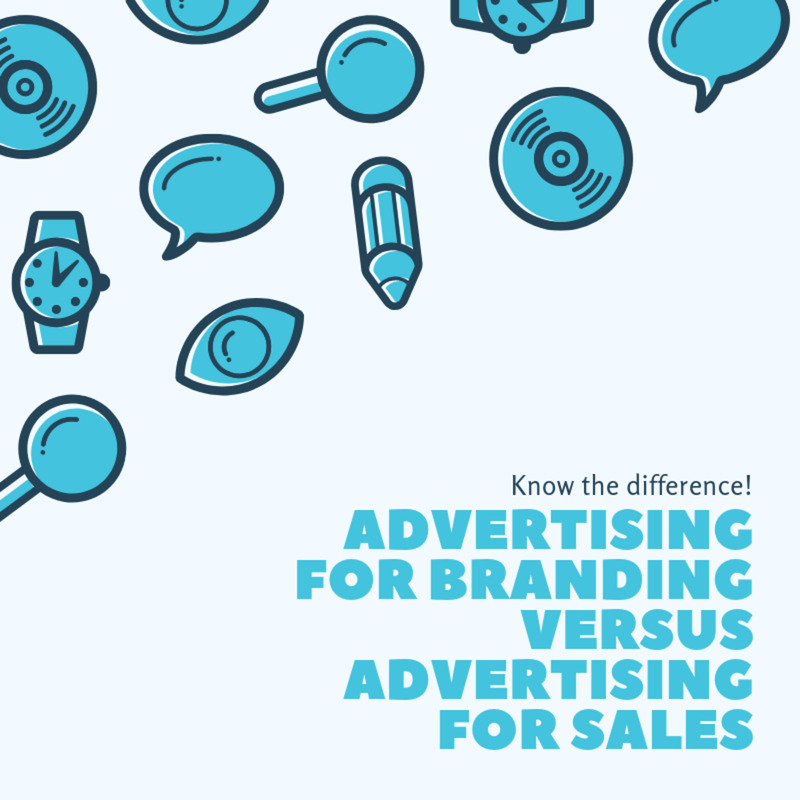 Make sure the messaging is correct and have others review the ad to ensure a clear connection to the needs of potential consumer is well established. There are few different ways the add will be posted. The illustration below shows what the ad will look like on a Google search. By clicking on the Google partner sites tab you can see how your ad will display on websites. The wording will not change when the ad is displayed on google partner sites, but the style will be different. The designs above are how your ad will appear on google. 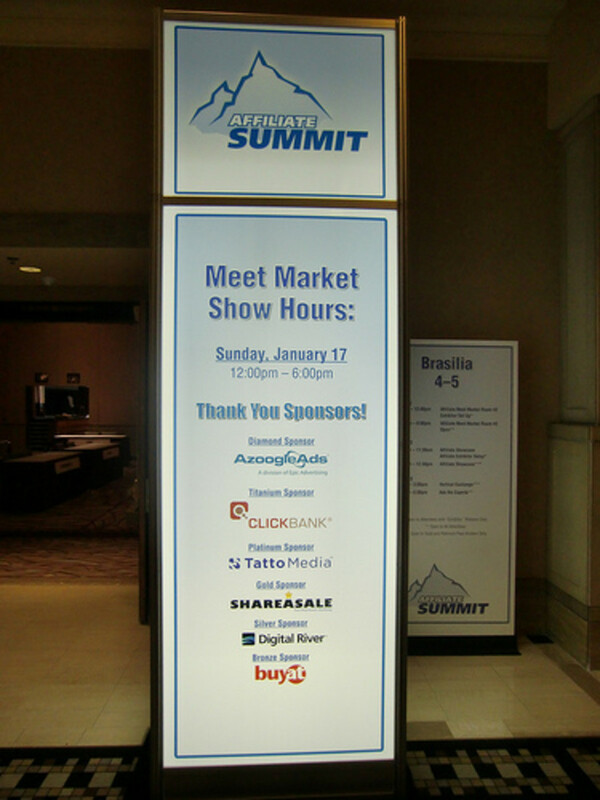 Keep in mind that the ad will appear different on Google partner sites. You'll have to click the Google partners option to see how ads will be displayed on websites. Even though the campaign goal is to receive more phone calls, adding your business phone number to display on the ad is an option. If one does make their business line public in their ads, they may elect to activate a call verification feature. This verification feature tracks calls through a forwarding number, collects data on time, location, and the duration of calls, and creates a message for the advertiser when a call is made from the ad. This is one of the most important parts of creating your ad. You must decide what budget you plan to spend on your ad campaign. Until you actually run a few of your own campaigns, it's hard to know what type of budget fits for your goal. 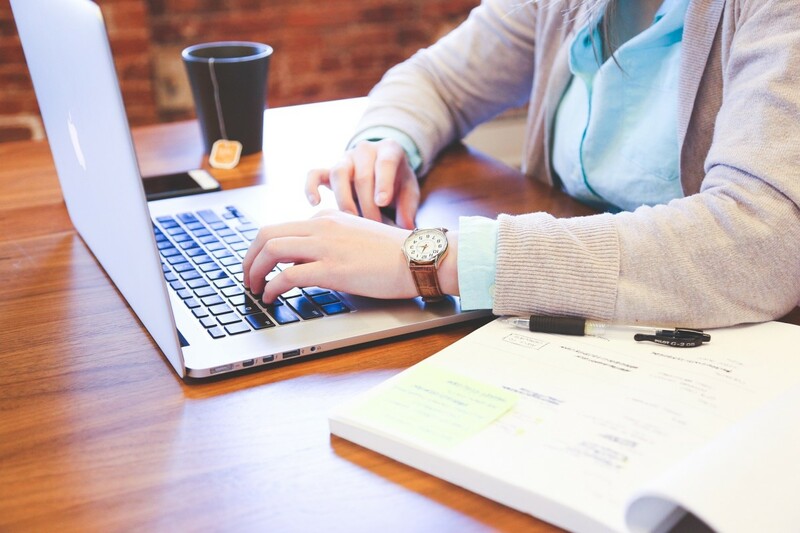 To alleviate the situation, google does give you estimates based on your industry and the estimated audience that you will attract with your Google AdWords. To actually set the budget you can click on the average daily budget and enter your own value or move the blue dot along a line. The line has boundaries to show you what competitors in your industry are spending on their advertising budgets. This will allow you to make some assumption about your spending until your company creates a history. The budget that this particular campaign is set at shows that there will be an estimated 940 - 1,572 impressions. Impressions are an estimate of the total people that will actually see the ad. Additionally, the estimated number of clicks is 103 - 172. This range is the estimated amount of times your audience will actually click on your ad to make a phone call or redirected to your company website. A summary of the campaign will appear so that you can double check the cost and other parameters. 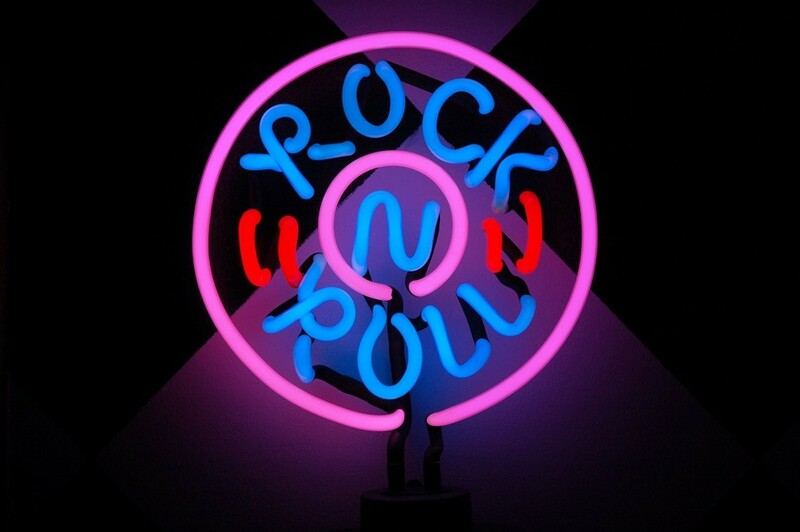 Instead of using the back button, any changes that need to be made to the campaign can be made from this page. Each section has its own edit link to make changes. Setting up the billing is the second to the last step of this campaign creation process. You must review or input your billing address and add credit card information to make your monthly campaign payment. If you are running your first campaign, I would suggest starting under the average budget compared to the industry that you are in. This will allow you to see how much the campaign has made an effect on your business as well as to serve as a learning experience. Once you've learned enough about the reaction of the audience you will be able to make adjustments to ensure that future more expensive ad campaigns are more successful. 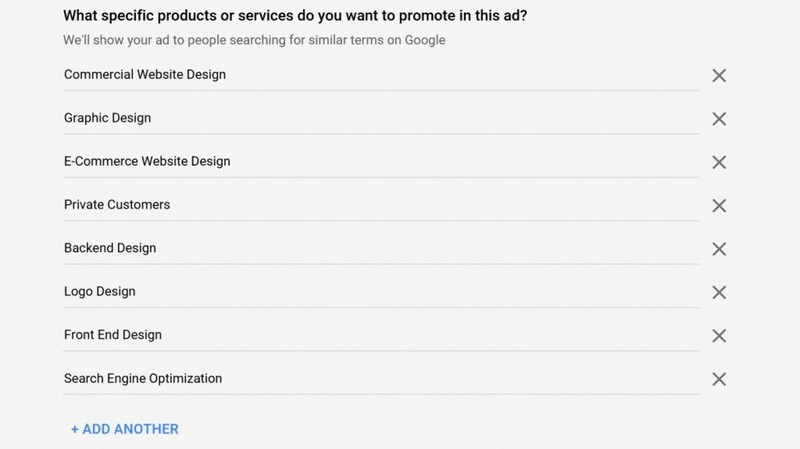 The last stage of creating a Google Ads campaign is agreeing to the advertising program terms. I advise that you read the three paragraph agreement as there may be a clause the you do not agree with. 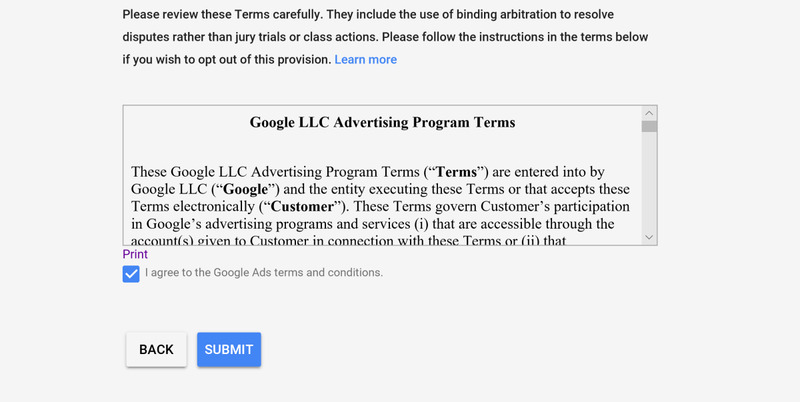 The campaign agreement appears on the last page of the Google Ads set up process. The top of this page requires the advertiser to fill in their address and billing information. You'll notice before you start a Google Ads campaign, there is a link that states "Experienced with Google Ads?" This link is on that page where you decide what your campaign goal is. Clicking on this link leads you to alternative options such as the use of text ads, other types of goals, campaigns with no specific goals, and options that are only available if you have a Google Ads account. If the basic campaign is not helping you get to your target market, you made need to try these more advanced options. Thanks! I just started a hub on targeting people with job titles on LinkedIn that I hope turns out okay. Awesome Article on getting started on adwords. With the new platform, this should help a lot of people get up and running.